Arts journalism in Seattle — it just keeps getting better and more incisive. Here’s the Seattle Times trying to tell us that it’s reliably “covering” an institution as central to Seattle’s cultural life as the Seattle Symphony: see, we’re devoting a whole preview to this ambitious festival! Finnish violinist Pekka Kuusisto will make his Seattle debut for [sic] the often-revised piece, which seems almost to have been cursed during Sibelius’ lifetime; its 1904 premiere was a disaster, due in part to its difficulty, and it was unknown to much of the world until 1991. Yes, the Wikipedia entry contains a discussion of the belated unveiling of the original version of the Concerto in 1991. 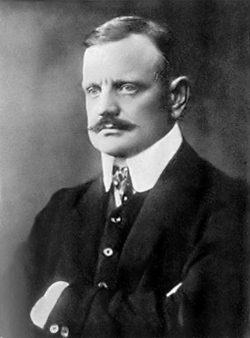 (Sibelius had withdrawn that score after its ill-fated premiere.) One of the problems with relying on Wikipedia alone — even when the information is pretty good, as in this case — is that without knowledge of the topic in a fuller context, it’s very easy to skim too fast and come away with a false, superficial sense of “knowing” about something without noticing what’s actually at stake. The preview isn’t discussing the ur-Concerto, just the regular one that will be played next week in the second program of the festival: a recent find! ADDENDUM: I should add that it has occurred to me that this embarrassing gaffe might not be the author’s fault but that of the Seattle Times editor. It’s conceivable that the copy that was turned in correctly explained the (otherwise essentially irrelevant) reference to the 1991 factoid and that this was haplessly mangled by an editor with limited reading comprehension skills (and even less knowledge of music). I hope it’s obvious that this matter is far from a pedantic point about correct dates. In either case, it means that a Wikipedia article is more reliable than the information published by the Seattle Times. Of course the second scenario — the one about the unreliable editor — would only further underscore my real point here: that the deteriorating state of arts journalism is doing a terrible disservice to a large population of readers who are genuinely interested in the arts. Surely we haven’t already reached the point where accuracy in reporting by the “newspaper of record” is considered a luxury? Or have we…..